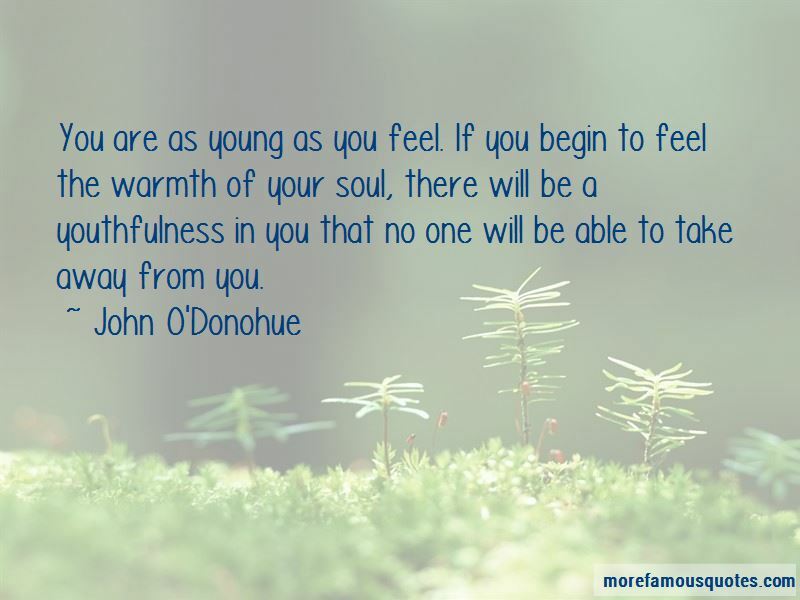 Enjoy the top 253 famous quotes, sayings and quotations by John O'Donohue. Transience is the force of time that makes a ghost of every experience. There was never a dawn, regardless how beautiful or promising, that did not grow into a noontime. There was never a noon that did not fall into afternoon. There was never an afternoon that did not fade toward evening. There never was a day yet that did not get buried in the graveyard of the night. In this way transience makes a ghost out of everything that happens to us. I do not wish to criticize any system that can nourish people's spirits, but I find that a lot of New Age writing cherry-picks the attractive bits from the ancient traditions and makes collages of them; it usually excises the ascetic dimension. In general it is not rigorously thought out, but is what I would call "soft" thinking. This earth is the only constant in our lives. It has been here for millions of years before us. It was his gift to unearth its riches; that this "human-come-lately" is but the latest link in the chain of evolution. We must become aware of our present stage of "becoming" and to do this we need to look back at our history. To be wholesome, we must remain truthful to our vulnerable complexity. In order to keep our balance, we need to hold the interior and exterior, visible and invisible, known and unknown, temporal and eternal, ancient and new, together. No one else can undertake this task for you. You are the one and only threshold of an inner world. This wholesomeness is holiness. To be holy is to be natural, to befriend the worlds that come to balance in you. Behind the facade of image and distraction, each person is an artist in this primal and inescapable sense. Each one of us is doomed and privileged to be an inner artist who carries and shapes a unique world. The interplay between farmers and the elements was a poem without words, the echo which would always return to him. The air could hold the "breeze of the rain" or the "wind of warmth" to the discerning nose. The stone carved its memory deep into the hands that chiseled it. Fire was life in the hearth which was the center of home. Water introduced itself to us from its most natural source in streams and wells. Human presence is a creative and turbulent sacrament, a visible sign of invisible grace. When you are compassionate with yourself, you trust in your soul, which you let guide your life. Your soul knows the geography of your destiny better than do. “May you see in what you do the beauty of your own soul. a faithful and beautiful friend of your soul. recognize that your senses are sacred thresholds. In our rapid and externalized world, language has become ghostlike, abbreviated to code and label. Words that would mirror the soul carry the loam of substance and the shadow of the divine. The sense of silence and darkness behind the words in more ancient cultures, particularly in folk culture, is absent in the modern use of language. Language is full of acronyms; nowadays we are impatient of words that carry with them histories and associations. To be holy is to be home, to be able to rest in the house of belonging that we call the soul. 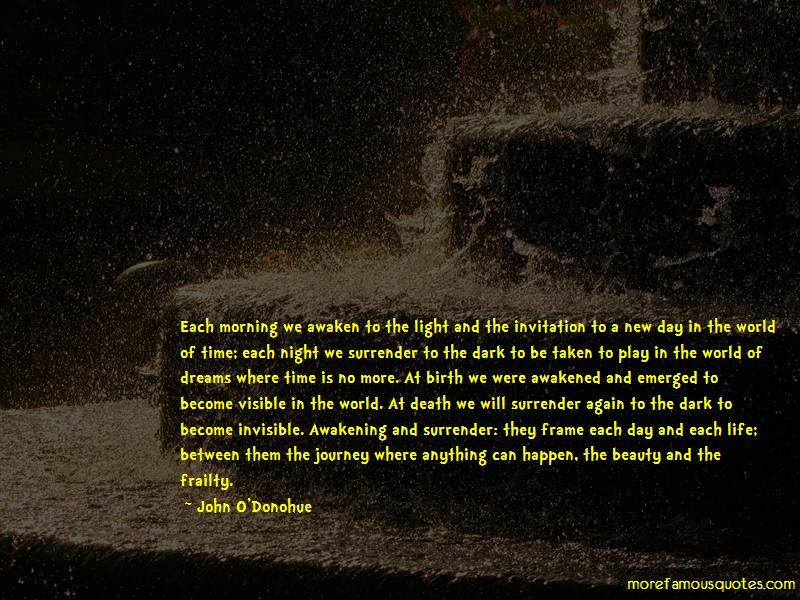 Want to see more pictures of John O'Donohue quotes? 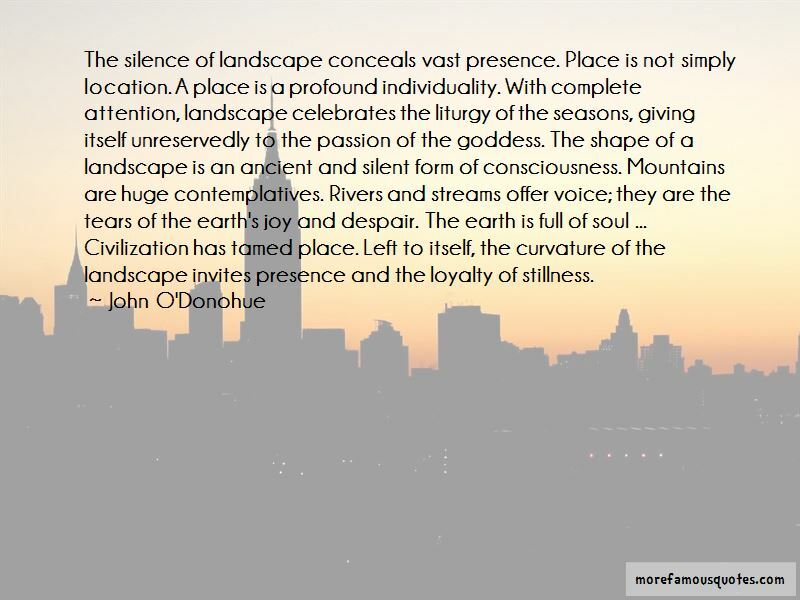 Click on image of John O'Donohue quotes to view full size.